Red_1_Coin_Envelopes is rated 5.0 out of 5 by 2. Rated 5 out of 5 by lynn1000 from Exactly what I needed I needed an odd size envelope in a specific color and am so glad I found this site. Easy to order, arrived quickly and exactly as described. Rated 5 out of 5 by robind from Coin Envelopes I purchased these envelopes about a month ago for our Angel Tree at church. We wanted something small enough to put cash and checks into and that would also look nice on a Christmas tree. The envelopes are excellent quality and have worked perfectly for our project. Do the coin envelopes require extra postage? They do not. However, the #1 coin envelope (2.25 x 3.50&quot;) might be too small to mail. Confirm your size is acceptable to mail first! These little envelopes might be small, but they sure pack a punch! They're the ultimate solution for holding small items. Whether you need to store coins, stamps, paperclips, or anything else--these little firecrackers got you covered! You can even put some little love letters in here or Valentine's Day cards to send to all of your kids' classmates (remember those days?). 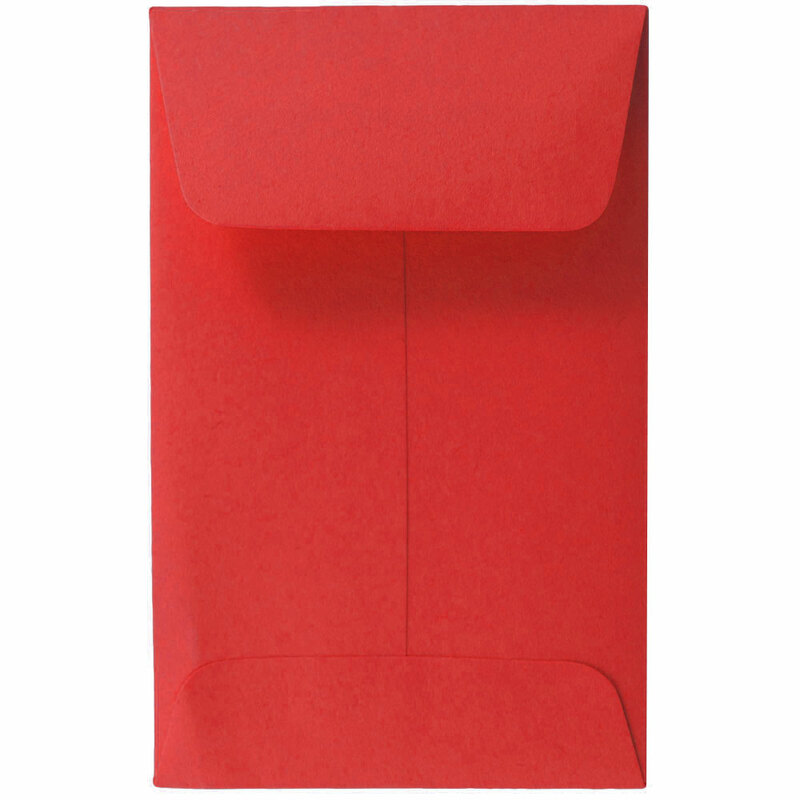 The vibrant and passionate red will make sure that you're noticed, even if they are our smallest size envelope available. The gum closure will secure any of your tiny but valuable content and the square flap gives your gift or storage a modern edge. Red #1 Coin envelopes are sold in packs of 25, so you'll definitely have enough to go around the office or classroom! If you want this unique size, but are in the market for a different color, take a visit over to our Coin Envelopes Page and find your style!